The National Infrastructure Commission has called on the government to do more and better for road, rail and broadband. Transport minister Jo Johnson has called on the railway industry to take diesel-only trains of the track by 2040 – the same year that sales of new petrol and diesel cars are due to end. 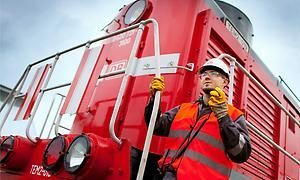 Malcolm Logistics has awarded DB Cargo UK a £21 million contract extension until 2020. 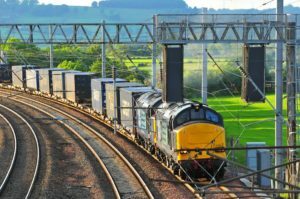 The Rail Freight Group has welcomed Transport for the North’s draft Strategic Transport Plan. John Smith, managing director of GB Railfreight has been named chief executive of parent company Hector Rail Group. Everyone agrees that moving more goods by rail is a good thing, but the industry has been facing the challenge of adapting to new markets as traditional coal traffic has declined. Malory Davies reports on progress. The Port of Tilbury has applied for a development consent order for Tilbury 2, a new terminal on a 152 acre site next to the existing port. Network Rail has awarded a contract Siemens Rail Automation to start installing an in-cab signalling system to the UK freight train fleet.